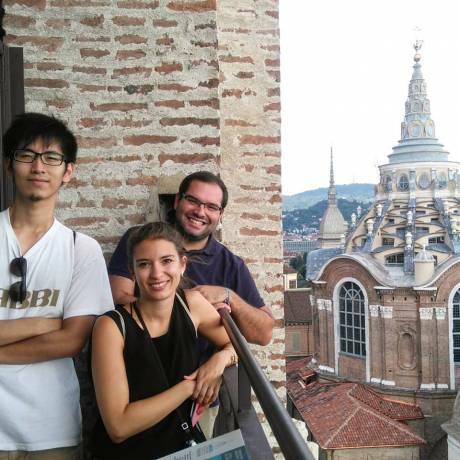 Why study in Turin, Italy? With its 14 km of arcades, a museum with the second most important Egyptian collection in the world, ancient works of art, internationally-renowned film festivals and world-famous sports teams, Turin is one of the most fascinating and mysterious cities in Italy. Underneath its austere, aristocratic exterior, beats a heart which is sure to captivate and enchant any visitor. The traditions of Italy's first ever capital live on in the picturesque cafés and restaurants of its city centre, while a diverse set of economic activities and a first-class university make it one of the most important technological and scientific hubs in the country. The city is still largely unaffected by mass tourism, giving visitors the opportunity of greater contact with the locals, who speak neostandard Italian. 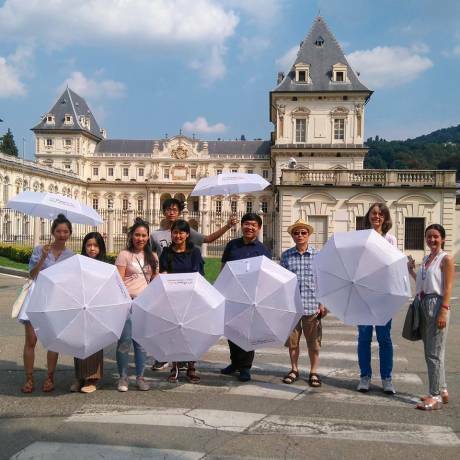 Located in an early twentieth-century building in the heart of the Crocetta district, one of Turin's most elegant areas and just a short walk from the Polytechnic and city centre, CiaoItaly has been teaching the Italian language and culture to students from more than 50 different countries since 2008. The school is a member of the ASILS, AIL and Eduitalia sector associations and is accredited by CSN Lund-Sweden and Bildungsurlaub for the delivery of their courses. It is also an authorised assessment centre for the AIL and CILS exams. CiaoItaly has a learning programme to meet the needs of any student, from beginners to advanced, whether they want to improve their Italian for personal, academic, vocational or professional reasons. To ensure parity of levels within groups, prospective students are asked to take an entry test. Lessons are taught by enthusiastic and qualified native speakers who, using the communicative method and a variety of teaching materials, guide our students to improve their language skills. Intensive Group-Course - With a minimum of 5 and a maximum of 12 students, the courses are aimed at students who wish to learn the language in a dynamic and fun environment. They allow students to acquire the linguistic skills appropriate to the level being taught: grammar structures, extension of vocabulary, learning and improvement of pronunciation, conversation, comprehension, reading and writing. The courses last from a minimum of 1 week, with attendance from 15 to 20 hours of lessons per week, to several weeks, as required. Long-term course - A language course lasting between 22 and 52 weeks, ideal as a year abroad or gap year to bring your language skills up to advanced level! One-to-one classes - tailored to your personal needs. 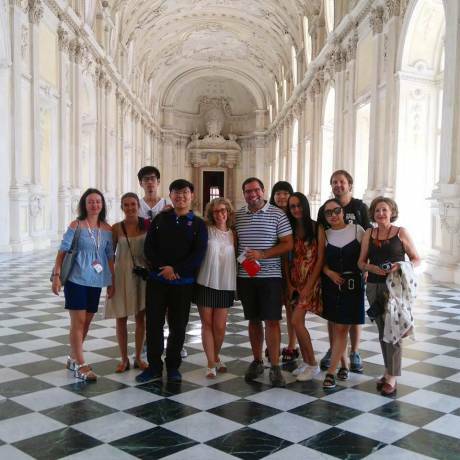 CiaoItaly offers an extensive programme of free recreational activities designed to help students get in touch with the locals and learn about the cultural and artistic wealth of the region. 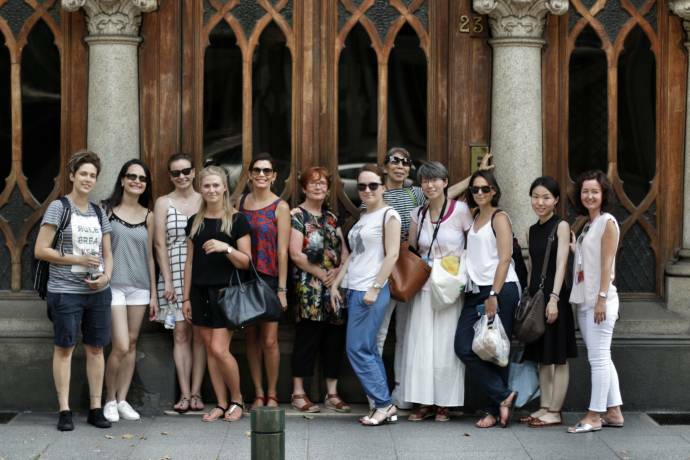 On request, the school also organises cookery classes, wine and local-products tastings, special dinners, guided tours of the city, visits to museums, evenings in local restaurants and excursions to discover the Piedmont region. Fill in this form to get more information about the courses and application to CiaoItaly. You can also ask questions to the school here.